Mike Shinoda: When we were making the album, I had a handful of demos that were a little more – they weren’t quite as heavy as this. They were a little more electronic-driven, and there was just a day that I was listening – I was looking for something to listen to and I couldn’t find what it was that I wanted. I wanted something more aggressive and heavy and energetic and I just kept finding either stuff that was – you know, there’s another part to it, too. I wanted it to be, like, modern and progressive and the only stuff I was finding was – if it was modern and progressive, it tended to be a little more mellow. And if it was heavier, it tended to sound more – it tended to not be as progressive. And so, I think we all found that there was just a style that was kind of being underserved that we wanted to hear and that’s what we decided to make. As far as the reception … some friends of mine in the U.S. said, “Hey, I heard it. Sorry that you guys didn’t get to number one on the charts,” And I said, “You know, it’s actually – I feel like the billboard chart is for one thing. It’s for the first week album sales, and this is not really a first week album sales kind of album.” It’s a statement album. It’s a live album; an album that should be taken to the stage, and that’s exactly what we’re planning to do right now. We leave – I actually fly – we all fly this week and we start the Carnivores Tour here in the States. Our friend Kristyn Clarke of Pop Culture Madness asked: I’m curious, this being your first self-produced album, and the use of analog tape grain. Would you feel that you would go that route again? I absolutely adore that kind of perfectly imperfect sound. Mike Shinoda: Yeah. So, I think it’s something that we’ve been curious about for awhile and it had to be the right moment to really dive into it. I’ve had a little bit of experience with tape on previous projects, but not really cutting such large chunks of the song and large performances to tape, and it’s so nice because it forces you to slow down and, like, really consider each performance, each recording of whoever’s playing at the time and whether or not you want it. That’s really, I think, it gives this album at least its sound. Yeah. So, it’s definitely something that’s kind of this point now is within our bag and we get to potentially go back and use it again, if the song asks for it. Chester Bennington: I’ve been recording the drums in this way. It’s really great in that it does give the feel of the song. It’s like a more live feel. For us, I think that, like, one of the things that’s always kind of been surprising to a lot of people that I see when they come to see us for the first time, especially like my musicians’ friends. They were, like, they didn’t know us but they had never really, like, listened to us very much and haven’t seen us play, and they come see play. There’s like this, like, raw kind of more prompt and in your face attitude about the band when you see us live. Like, even like our mellower songs; there’s an edge to them that you get in a live performance that kind of gets lost in the studio and I think that with this record, like, we’ve kind of captured a lot more of what we’re like live in the sound of the record. And I think that that’s exciting. Mike Shinoda: I mean, the is the first album since probably either Minutes to Midnight or Meteora that has had such a focus on the heavier guitars and drums and so on. And I should also say that, like, I think that – for the most part all of those things always exist in a lot of our music, but it’s the choice of what do you put up front; how do you mix it; and how do you -in writing it, what’s the important part to really take away? And a lot of the guitar stuff on the last couple albums has been more atmospheric and, like, sets, say, a background tone as opposed to being, like, a leading role. So, yeah, so the guitars are definitely, like, the main character in the music of this album. And in getting there, I know I spoke a little bit ago about having the conversations with Brad about where to arrive and how to, like, prepare them for the right mind state to get into this, but I neglected to say, and I’ll say it now, that he and Rob – Rob’s situation was -I write this stuff for him and with him a lot of the times and I send him stuff and say, “This is what I’m thinking of for the song,” and he’s always up for a challenge. Like, there’s nothing I can send him that he wouldn’t say, “I’ll give it a shot.” And he had a lot of fun doing it, because he actually had to – he had to physically prepare. He needed to up his, like, cardio to, like, actually play the drums on this album, which was funny. And I don’t mean that – like, he wasn’t, like, lazy before. He was already in good shape and then this stuff comes and it’s, like, wow, this is harder to play and especially if I’m going to play 100 minutes of it. Like, I’m going to need to really be physically able to do that, and he had to work up to it. Brad, on the other hand, is another story. Chester Bennington: Sometimes when we sent him some stuff. Mike Shinoda: Totally. Like, I would send him some stuff and it literally would be, like, “Good luck, Rob.” And Brad, on the other hand, was, like, mentally not interested in, like, playing heavy stuff for a long time. And that was a function in him having grown up playing so much, like, Metallica basically that when you play eight hours of guitar or six hours of guitar every day when you’re in high school for however many, maybe through college, too. Like, so many years, he just got burnt out on that and didn’t want to do it anymore. Chester Bennington: Especially with the things you’re creating. Mike Shinoda: Yeah, And, I mean, we are making stuff that was really – it was exciting to him in different ways and we were all fine with that. I wasn’t like we were going, “Oh,” like, so mad at Brad for not, like, ripping some crazy solo. I think that’s not the kind of music we were making. But when it came to this album and we knew that if this was what we wanted to make, I was saying to Dave, like, “There’s no way that Dave and I And Chester – there’s no way that we could, like, create the kind of guitar – not all of the guitar that would make this album what it needs to be.” Like, we need Brad, because Brad is a better guitar player than we are and he needs to be on board with this. So, this more I talked to him about it, basically the conversation ended up being, “Oh, you realize the real, like, tipping point was that he needed to get in touch with his, like, inner 14-year-old who got inspired to start to play guitar and what he listened to back then and what he wanted to make.” And he’s a guy that inspired that 14-year-old, not, like, “Hey, I want you to write something that’s going to impress some kid in Idaho. No, I want you to write what would excite you as a young kid to learn to play guitar. Like, don’t make it about anybody else but yourself. So, what is it that would be exciting to you?” And he found, over the course of the nine months working on a record, more and more he found that. Chester Bennington: I even hear, like, Sinead O’Connor. Mike Shinoda: Yeah. There’s a lot of that out there. And so, whenever I feel like, “Okay, there’s a lot of that.” Like, if that’s what I want to listen to, I’ve got a lot of that to listen to. What is it that is not out there that if I wanted to listen to, I can’t find it, except other than going back to records that came out in the ’90’s? So, that’s what ended up happening is we made an album that had that energy. It was more about, like, the kind of stealing of that music. It’s not nostalgic at all; this album is the point. Like, we wanted it to be heavy, but progressive as opposed to, like, “Oh, it should sound like that album or that band, whatever.” We wanted to take, like, ESO, so those heavy things that we like and try and harness it and create our own new thing. Chester Bennington: I honestly I feel like A Thousand Suns is a far bigger risk than this record. And although I do think that this record was written, the risks we were taking from the band perspective is that kind of we laughed at them a little bit, because they weren’t really risks for us. It was just, like, more of a business thing. Or it was, like, I felt like when we were doing, like, Minutes to Midnight and we were doing A Thousand Suns, we knew we were going to alienate probably some of our fan base, but we didn’t know if anybody was going to like what where we were going. That’s like, okay, we know people like what we’ve done in the first two records; now, this one is completely different. Like, are people going to, like, – are they going to buy it or are they not buy it in the store? Are they going to believe what we’re doing? Are they going to find the concept of what we are doing, like, a new head coach working; that kind of thing? Or are we going to have a team that’s going to revolt us and, like, no one’s going to show up to practice and, like no one’s going to care? And so, for us, like, some of the team members left and most of them stayed, and when we went for A Thousand Suns, it was, like, “Okay, we’ve already kind of had a taste of what that gamble is we’re doing and that’s kind of scary.” The reality is potentially no. People might not like what you’re doing. With this record, I feel like, “Yeah, even the culture of radio and it’s probably not going to get played a lot on the radio. It’s probably not going to be number one in the Untied States.” So, we knew that going into it before – those things don’t really matter to us. Like, what we care about is making a record that’s exciting to us. And at this point in our career, we wanted to make a statement and we can and we found ourselves in a very unique position to do that, and make that statement. So, for us, and in doing so, we knew if we did it right, if we made a good heavy record, we would actually be pleasing most of our fan base. So, I’m pretty sure that, like, 90 percent of Linkin Park fans would be excited to hear a record that reminded them of the Linkin Park they discovered early on. And so, I think in that sense it was not a risk. It’s, like, we’re willing to take a chance at radio and we’re willing to do those kinds of things that may not be fitting within the mainstream right now; that’s fine. But we know that we’re going to be making our fans happy and we know that we’re going to be happy, because we wrote these songs to be played live and bring the interview at the live shows up. And any time we can put the interview up on stage, everybody has more fun. So, it was kind of a much lower risk, in my assessment, than them, for example. Mike Shinoda: Yeah. I think that’s true. And I also say that, like, it’s a great point that Chester made that has to do with, like, how do you measure what’s a success and what’s, like, risky? Because clearly, as we were saying with the Billboard thing, like how important is – I mean, you have to keep in mind. Like, we lived through – our band was out and in music at a time when a number one album meant, like, it could mean, like, a million and a half records the first week. Like, if you’re talking about 150,000 records is the number one this week; it’s, like, it’s not that a tenth of the people are listening to music. It’s that the actual metrics live somewhere else. Like, if you’re measuring success by Billboard, no disrespect to Billboard, Billboard’s doing what they’re supposed to do and I think they’re doing their best to evolve with people’s music assumption, tendencies, whatever by including things we used to do. Mike Shinoda: Yeah. Because really, I mean, what we care about at this point with our releases – are the fans talking about it? And that means anywhere, whether it’s online or in person or whatever. But you can gauge that on our social media. Like, are they excited? Yes, they’re excited. And then second, are they coming to the shows? Do they care enough that they want to come out and see us play? And, yes, they’re coming to the shows. Like, the tickets are selling out and it’s doing well. So, at least at this point, I mean, you could talk to us in six months and we’d say, “Yes, it’s been a debacle. Like, all of a sudden, they got bored and now they don’t come to the shows. Like, I guess we’ve got to – ” But barring that actually happening, like, we’re really happy with the reception that everything’s gotten. And, by the way, in a format that you can’t just, like, look at it on a chart and say, like, How does this compare to so and so, whatever/” Like, we’re living in a different age. Everything is niche or into it. Everything is, like, cut down into a sub-group where you can be a fan of ASAP Rocky and Linkin Park. Like, that’s a very realistic possibility in this world. So, just because numbers work out one way or another, whether you’re talking about radio or Billboard or Grammy’s or whatever it may be, like, those are all different metrics and that’s not necessarily how the world works. Mike Shinoda: Yeah. It’s going to be a little different from the last – if anybody caught any of the European tour online. We started there and we put some more work into it and kind of smoothed out some of the rough edges and added a couple songs. So, it’s coming along. I feel it’s a solid set. It’s got a mix of the old – and basically stuff from every record. Chester Bennington: Yeah. It’s (Inaudible 00:07:01), so there’s a healthy dose of the new record in there. And I think we’re playing “Final Masquerade”, “Rebellion”, those are the two that we haven’t played yet, and “Until it’s Gone”. So, there’s a lot of the new record in this upcoming tour, for sure. Our friend Matt Bishop of The Rock Revival asked: I was wondering if you could elaborate a little bit more on the visual element of the stage production and kind of translating your videos and stuff into the live performance and what fans can expect from your visual presence on this tour. Mike Shinoda: Oh, great. Well, one important thing to start with is that the visuals on The Hunting Party were rooted in a handful of drawings, artwork by an incredible painter named James Jean. James, I don’t even know where to start as far as how important this guy is or how incredible he is. You can look him up on your own. So, he – Joe – is friends of James. James drew a bunch of stuff for us. In talking with him, we wanted to do something that has never been done with his artwork before and landed on the idea of converting it into an actual 3D sculpture, each piece into a 3D sculpture. So, although the sculptures live in the computer, they don’t exist physically yet, maybe someday they would, but at this point, we got them rendered in 3D art. Our amazing group at Ghost Town did those renders with James and then those built out the basic foundation of the artwork for the album. And that stuff, you’ll find that on the T-shirts and you’ll find that on the website and you’ll find that in the live visuals as well. And then, it’s not enough to just throw the stuff up there. I mean, you can, but it’s beautiful, but I think that in the context of a live show, it’s really important to have something that lives and breathes with the show. And to some degree, one of the challenges that I posed on the production team was, based on what we decide to do with the show every night, if we decide to play something differently, if we decide to expand the part or whatever we want to do, I want the artwork to change with the performance. So, it needs to be malleable and that turns into – that’s where the real production challenges start to arise. Without getting geeky into it, and in fact I’m not really versed in the geeky stuff, I can just tell them, like, “These are the ideas,” and then, luckily, we have an excellent production team that can do that. And the guys at Ghost Town, again, the guys who are involved with rendering the stuff in 3D, they’ve been intimately involved, as has Joe, on creating these tour visuals. I think it’s gotten real great. I’m not going to spoil any surprises as far as how the LED stuff gets – what it’s actually being presented on, or as far as what the stuff actually looks like. You’re going to have to come to the show to see that stuff. But, like I said, it adapts with the show and the show is a work in progress; like, we are changing – we do change things usually steadily from show to show, and then from tour to tour, there might be some broader stroke changes. But, yeah, we take the live show seriously. It is, in some part of it, it’s as much a piece of art as the music is, so we want it to be compelling and fit with the overall kind of aesthetic of what the band is up to right at this moment. Chester Bennington: Our respect comes from a professional place between each other and, for me, I know that we’ve been very close to our fan base for a very long asking questions and seeing who they want us to tour with and it’s been really interesting, but every time – and it’s funny to say this because it probably sounds really corporate, but this is what happens when your band becomes as big as Linkin Park. We decided to poll our fans to see who they want us to tour with, and for like, what, five or six times in a row, I think, 30 Seconds to Mars has either been the most popular band that they want to see us tour with or number two. I’ve never seen them out of the top three. So, it’s been a long time the fans have wanted to see us tour together. So, for that, I think not only has 30 Seconds to Mars, like, grown tremendously over the last several years into not only a great studio band, writing great songs, but they’re amazing live. And so, for us, at this point, our fans are really excited to see us play with 30 Seconds to Mars. And also, if I can say this, they have released their 13th record in November last year, so that’s pretty impressive. I don’t know if you guys are listening to their most recent record, but it’s amazing. And another band that not only are great guys, but they keep making amazing record after amazing record and also known for their live shows is AFI. So, that’s kind of a simple kind of no-brainer. Luckily, this is one of those times where we were, like, “Hey, let’s ask 30 Seconds to Mars and AFI if they want to tour with us.” And they both said, “Yes,” at the same time. So, it all worked out really well. Mike Shinoda: I’d say, first and foremost, we have opportunities now that we obviously didn’t have then, and just like being in the studio, you have opportunities with knowing what you’re doing, number one; knowing what’s out there is, like, a possibility of whether you’re talking conceptually or being able to afford production or instruments or whatever. Like, we have so many opportunities and the focus a lot of times is on what’s the selection process, like, what choices do we make that keeps things focused and exciting. I feel like on this one the production that you’ll see, for example, is, I think it evolves over the course of the show really well. It’s more video-based. The song selection and the technology we used to get the set into the form that it is right now. We’ve just finished the idea that that technology didn’t really exist, even seven, eight years ago. So, what’s funny about it is in our band, technology has actually allowed us to be more of a band, more of an organic free-thinking kind of group, because we are the kind of band that creates a lot of our stuff in the studio in layered forms. Like, if you think back to when The Beatles made the decision to go off the road more and focus on the studio, one of things that they did was they made music that they physically couldn’t play on stage. There was so many layered vocals and so many layered instruments and things that at that time it would be virtually impossible for them to do any of that on stage. As technology has progressed, all that stuff becomes more and more possible. And for us, we create in the style where things get layered and there’s a lot of different stuff going on in each song oftentimes. And 10 years ago that stuff would be locked into a timeline with our sampler, keyboard, or whatever, and in more modern stuff, we can actually react on the fly and say, “Let’s slow this part down. Let’s speed it up. Let’s pitch it. Let’s up or down. Let’s loop it,” and there’s moments when we can just kind of jam out and enjoy it. And that, strangely, is, like, this merging of, like, the humanity and the technology and the set that helps allow us to do that.The other thing that I should just mention is, although there is the technology in the set-up of what we’ve got going on on stage, and I feel like it’s very high-tech for music as far as what a music set-up on stage can be. We also have – I feel like we have a great deal of responsibility to be a live band, so, whereas, we have the opportunity to put certain things in the computer or on a sampler or whatever, we’re very careful about what we do, what we do put in the computer, because we want to be playing everything. We want the crowd to see us in performing the song, and I feel like even in almost every case, if you were to remove that other stuff and just have what’s being in played in front of you, you basically have the same song. So, that’s an important difference or, I guess, specific approach to note. Chester Bennington: Well, I mean, honestly when you’re young and you’re out there and kind of – you don’t have a family, I mean, yeah, those are important and you’re focusing on the shows, but you’re also kind of focusing on, like, “Am I going to see – where am I going to shower? Do I want to keep this box of clothes this company gave me, because I don’t really like them, but I also don’t have any clean clothes?” Those are the kinds of things you’re thinking about when you’re young and you’re on the road. Nowadays, it’s, like, we focus on having our families out and, if we can have our families out, we – for me personally, like, all I focus on is preparing for the next show. So, I really don’t think much has changed in terms of our set-ups to get ready for the tour. I mean, we still kind of practice in the same manner. We rehearse in the same manner. The great thing is our crew knows us so well and has been with u so long, we don’t have to do sound checks anymore, which is pretty awesome, because that frees up a lot of time to stay back with your families during the days and listen to stuff. And so, it really has gotten a lot better now, I think, now that we reached the place that we have in our career. We’ve found a way to balance our personal and touring life a lot better. And so, that’s been really great, I think, all around for everybody. Mike Shinoda: I mean, we love gaming. I mean, at this point working and doing what we do, we don’t get as much of a chance to play; for example, a console game. It’s mostly, like, mobile. But given the chance, I would love to have, like, a week off just to play video games. But we have had a lot of really fun experiences, like, doing stuff with games; making our own games. We’ve got a game, like, currently out up on Facebook right now called, LP Recharge.” In fact, it’s lprecharge.com to find it. And we’ve done apps and stuff like that and we’ve worked with groups, companies like EA, worked with Capitol Glass. We worked as Medal of Honor franchise. So, I think there will be some – yeah, there’s probably – hopefully, we’ve had some great relationships with all the folks and I would love to do more in the gaming world. It’s just – it is where our fans are at. It is something we love to do and it’s a really natural fit for our band. Chester Bennington: I loved that about that. 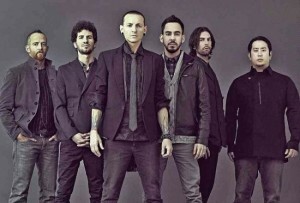 Mike Shinoda: – it had a sloppiness to it, which I thought was so awesome, so fun. Chester Bennington: It reminded me of when I was young before computers; it was part of making this. When you would go out and play a show with your friends and, like, they would want to come up and say, “Dude, I want to come up at the next show.” And, like, you teach your friends, like, how to get a song and they come up and sing it with you. That’s kind of what it was like. It reminded me of just, like, that raw – like, we’re just going to do this because we like each other and we’re going to do it right now. It was really – it made it really fund and felt like – it reminded me of, like, this is what I love about being in a band. This is what I love about making music. It’s, like, this whole experience. It’s pretty cool. Actually, it’s funny. A lot of people don’t even know this stuff works. Some of the venues find it more effective to physically go through the trash after the show and separate the recyclables, because they find that in their region, the fans tend to not really care about where they throw the trash and it ends up in those bins anyway. So, they just put out one bin and separate it at the end of the day. That’s effective. So, the bottom line is Music for Relief is being built up as something that you can – hopefully, we create trust with the fans. We create trust with the musicians and the industry and let people know that this is a group that does work hard to make sure all the T’s are dotted, or the T’s are crossed and the I’s are dotted. And on this tour actually, we’re also working with another group called, Reverb, [Editors note: we hope we’re linking to the correct group. If not please let us know] and the last thing I’ll say about this is Reverb is really great. Reverb is actually a group that – if you’ve ever heard lead certification; that’s the certification for essentially an environmentally-friendly building. So, if you’re gong to do a lead certified building, you can be assured that, for example, it was built in a way that was a sustainable build, but they weren’t throwing away stuff needlessly that they were reusing materials, that they were replanting in a way that saves the plants and wasn’t wasteful. That’s Reverb is a group that is doing that for concerts. So, they want to set up a Reverb certification. They’re working towards that so that you can go to a concert and know that if it is certified with Reverb as a partner, that that is a green concert. And they have various things – they look into, for example, how are the groups and the crews traveling; what’s their carbon footprint; what are they throwing away; what energy are they using; are they trying to offset that with anything? It’s very complicated stuff. They’re an excellent partner, and they do a great job of making sure that the bar is set really high so that we’re not being wasteful when we go out on tour. Chester Bennington: That’s an interesting question, because I probably ask myself the same thing many, many times on a regular basis, because I do find myself, like, kind of complicating things a lot sometimes, which we all do. I think piercing your thoughts is important, and I also think that not sweating the small things is really important, using your focus on, like, the big picture, because that’s really the trajectory of where you’re headed is the big picture, and a lot of times when you look at the easiest things happening now can get kind of chaotic and things will be all over the place. But you’re still moving in the right direction or you’re moving in the wrong direction. For example, if you keep dribbling the ball and it’s coming down, even if things are good right now, you’re still on a downward spiral. So, you have to look at yourself honestly and then kind of figure out where you’re headed in the big picture sense, so you not sweat the small stuff, because that’s usually where all most of my stress comes from things that don’t really matter. Mike Shinoda: I don’t think about it. It’s a common thing with people and everybody does – it seems like it happens in every group of people. And at least at this point, I really appreciate the fact that the guys have been so, like, open to, like, hearing criticism and putting themselves – really important, like, putting each other – put yourself in somebody else’s shoes and see it from their angle and listen with, like, respect. But also, stay confident about what you’re about and stuff, too, and just come to the table and try and find some middle ground. I mean, I always feel like one of the things that makes this, like, the root of a lot of my problems and other people that I know is usually, like, fear and a lot of that is based in, like, unfamiliarity. Like, people are scared of a lot of things that don’t look like something they understand. And being scared of stuff like that, that can manifest itself in so many ways. And whether it’s, like, a personal thing or, like, a decision that we make creatively or whatever, like, all those things, like, we’ve tried to be really cognizant about; not operating by fear. Chester Bennington: Yeah. It was literally like they were, “We can’t do our jobs because you guys are hanging out with the fans.” And so, basically we had to come up with a new way of, like, doing that. And so, we’ve done meet and greets with our fans every night, every performance we’ve ever done. For us, like honestly, like, meeting our fans is pretty mellow, so when we’re out on the street in our daily lives, we meet people all the time, every day who are fans, and us being accessible to a certain degree is really important to us. We’ve been able to thankfully keep our private lives private and share our professional lives with our fans and everybody’s been really respectful of all that. And it’s really cool to be in Linkin Park and kind of be a normal person at the same time. So, I appreciate that from our fans and it makes it that much easier to keep an openness with our fans as much as we possible can. 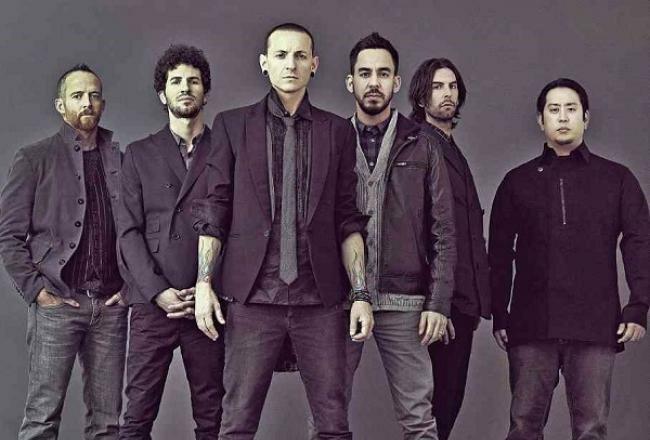 Linkin Park’s Carnivores Tour will be starting tomorrow with 30 Seconds to Mars and AFI. Click HERE for tour dates. We’ll be taking photos and writing up their show on August 13th in Bristow, Virginia, so be sure to check back soon for our coverage!